I heard that Tuesday, August 4 was chocolate chip day. Google has it as May 15. Any day one bakes something with chocolate chips in it can be chocolate chip day! So, in honor of those little drops of semi-sweet cocoa, choco, something-something and for all of the people I know who are going gluten free here is my recipe for Gluten Free Chocolate Chip Cookies. In a stand mixer, cream together sugars, butter and oil. Add in the egg and the vanilla, mixing well. In a small bowl, sift together Buckwheat flour, baking soda and salt. Add the chopped pecans to the flour. With the mixer on a low setting, tap in the flour mixture and then tear open that bag of soy free chocolate chips. Holding back one tablespoon of chips, dump the rest into the spinning mixer. Increase speed till dough is well mixed. Get out that wonderful muffin top pan again: spray each cup with vegetable spray. 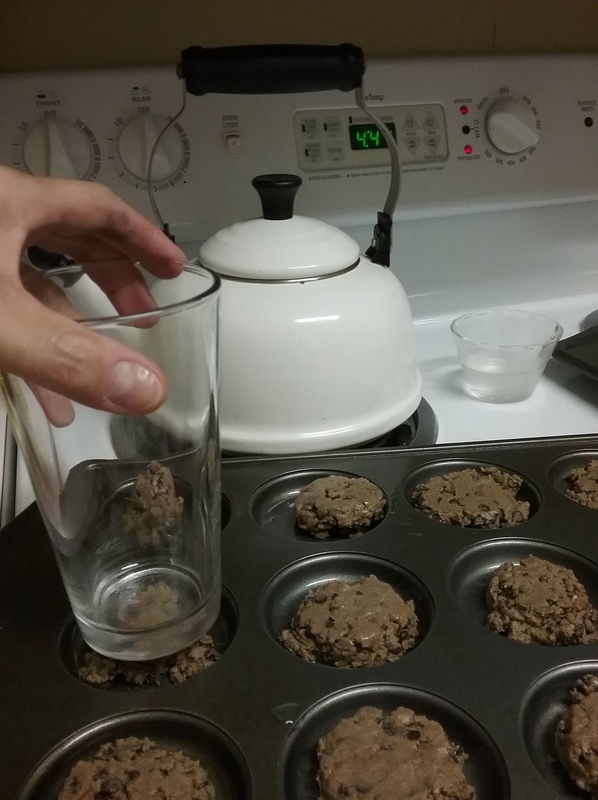 Using a small scoop, drop cookie dough into each cup. Slightly flatten each mound of cookie dough with the bottom of a glass dipped in a little dish of water. These cookies don’t spread much and need a little coaxing. Bake in a preheated oven for 10 minutes or until edges are browned. While they’re baking, scarf down that tablespoon of choco chips! Man, I love this brand of chocolate chips. If you can’t find them in your grocery store, order them off Amazon. Cool cookies a few minutes in the pan and then remove to a plate or wire wrack. These cookies have a dark brown color and a nutty flavor. The recipe makes about 2 1/2 dozen. Flatten cookies slightly with a glass dipped in water. 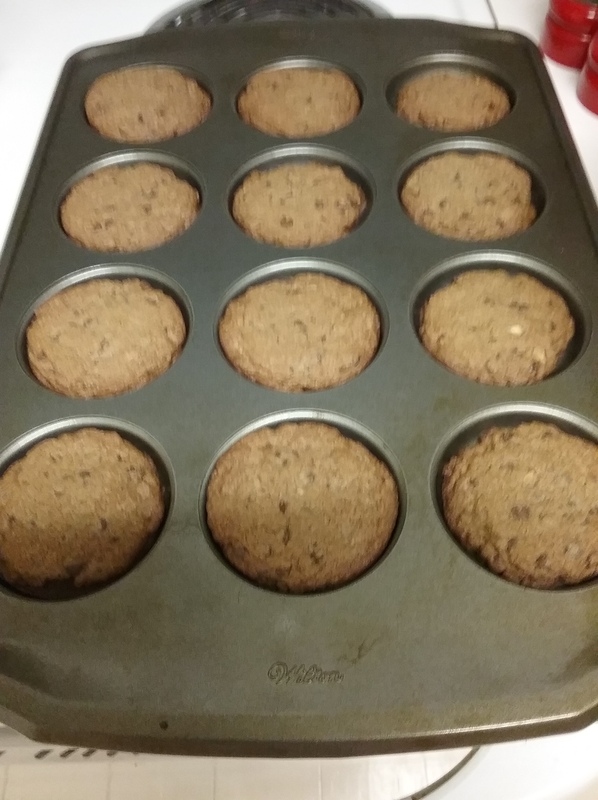 I love this muffin top pan. Great for muffins, of course, but also for cookies.